Throughout the history of mankind Architecture has been an outlet for creativity that often Heralds the cultural depth of the community and society. Every type of Architecture has a history associated with it providing the building block from the past period to advancements for the next. These changing styles includes elements such as form, method of construction, regional character, beliefs and religion, emergence of new technology and materials. Once a particular style has gone out of fashion there usually exists its different revival and re-interpretation forms. 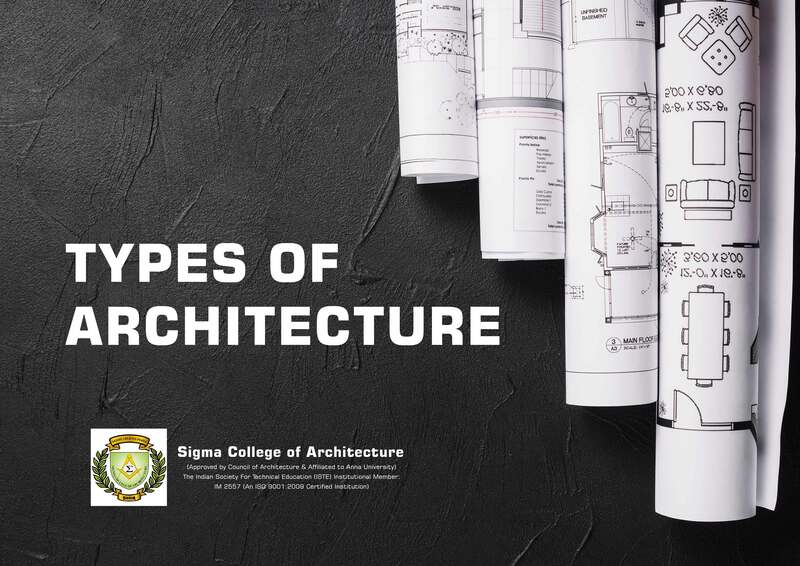 Here at Sigma College, one of the top Architecture colleges in South India we take special pride in teaching these different and long lost architectural styles.